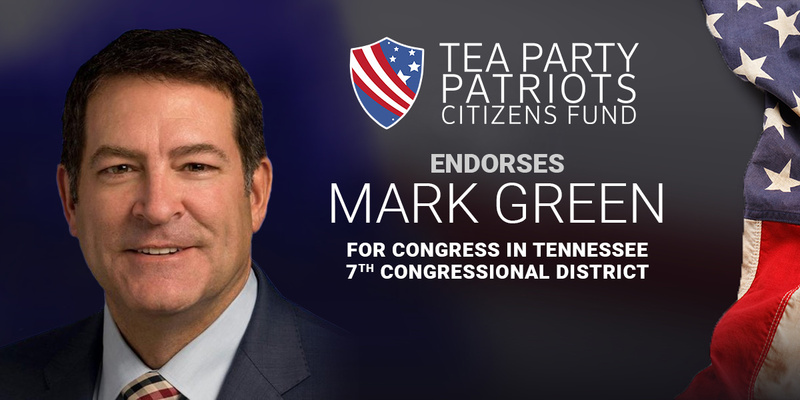 “In Tennessee’s 7th congressional district, there’s a clear conservative choice for Congress – Mark Green. “Mark has served our country since he took the oath at West Point. He was elected to the state Senate in 2012, and has fought for legislation to protect individual liberty, repeal income taxes and reduce the debt. “As a Member of Congress, Mark will take to Washington his determination to reduce our national debt. He recognizes that the national debt is a ticking time bomb, our greatest national security issue. Within six years, he points out, we will be spending more on interest payments than on our national defense. Not surprisingly, Mark is a strong supporter of the Penny Plan – a budget framework that spends just one penny less of every federal dollar spent the previous year as a means to balancing the budget in five years. “Mark supports both a Balanced Budget Amendment and a Spending Limitation Amendment to the Constitution, and he also supports a Term Limits Amendment. “Mark fought in the state legislature against ObamaCare’s Medicaid expansion, and will work to repeal it entirely. He opposes Congress’ illegal special exemption from ObamaCare. “In the state legislature, Mark has fought against the concept of ‘Sanctuary Cities.’ He supports construction of a border wall, and wants to end chain migration and the visa lottery. He firmly opposes amnesty.